Again, State Bank of India has revealed SBI PO Notification 2018 on its Portal telling the contenders about the availability of 2000 vacant posts of Probationary Officer (PO). Now, SBI PO Online Application Form 2018 can be filled through the guide laid out on this page. All interested aspirants need to do is download the advertisement that is hidden in the PDF link given at the very bottom of this article. But, make sure to understand the required criteria very well to make no mistakes while applying. The people were able to fill Online Forms from 21st April 2018 and the last date or the process is to end on 13th May 2018 supposedly. Also, there will be other announcements on the Main Web Portal which are important for you. Since you’ve become part of this recruitment, you’d have to download the E-Call Letter for Preliminary Test from 18th June 2018 onwards. Doing the allocation of available posts category wise, the Official Notice says that total 2000 vacancies are to be filled in this recruitment as per the official SBI PO 2018 Notification. If you are interested, you have to first meet the criteria that have been laid out on this very page. The contestants will be needed to prepare for the Mains test as well. If you clear both Prelims and Mains test with good marks, you will have to appear for the Interview round and GE. The postulants who wish to register for this SBI Probationary Officer Recruitment will be required to appear for selection rounds which include Preliminary Exam, Mains Exam, Group Exercise and Personal Interview. Taking account of officials, Pre Exam will be conducted on 1st, 7th & 8th July 2018. You will need a good strategy to crack this exam. Afterwards, the results of Pre will be declared on 15th July 2018. Once you get success in Preliminary Test, the next round you will be taking part in will be Mains (Main Exam). People will see this exam a slighter difficult as compared to Pre. The Call Letters for Main will be uploaded on site on 4th August 2018. After checking the overall performance of the applied/ appeared contestants, SBI will announce scorecards of Mains test on 20th August 2018. And, after passing the Mains, people will be asked to participate in GE (Group Exercise) and PI (Personal Interview) on 24th September and 12th October 2018. Looking for the Eligibility Criteria details for applying for PO post? Don’t worry, have the details of the same here. Just take a quick tour below to be familiar with the requisites you need to have while applying. Age of the aspirants who want to apply must be between 21 to 30 years as on 1st April 2018. The qualification that contenders need to hold is a Graduation degree or its equivalent. 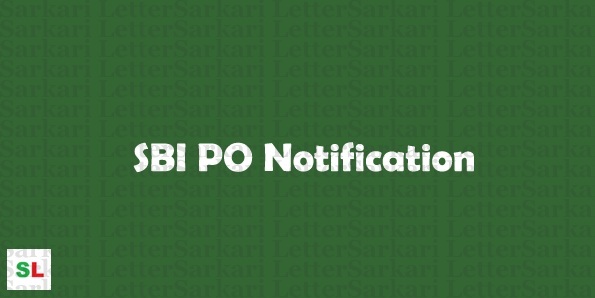 To know about “What are qualifications required to fill Online Application Form for the post of SBI PO”, you need to download the Official Notification (Get PDF). Applicants from ST/ST/PWD have to pay Rs.100/-, while General and Other category aspirants have to submit Rs.600/- including intimation charges as per SBI PO Eligibility Criteria 2018. Applying ones are supposed to partake in Prelims Exam, Mains Exam, Group Exercise and Personal Interview. The starting pay scale given to the contenders is likely to be Rs. 27,620/- or more than that, however, you are suggested check full details in the Advertisement. Visit the SBI’s Official Web Portal at first that is given below. Visiting the portal, you have to look up “Career” section. There, you will see many notifications, click on the one which is about “PO Post”. Then, start doing “New Registration”. Fill up “Online Application Form” and pay the required fees. So, this is how you can download SBI PO Notification 2018. If you have any doubt regarding the same, drop your valuable comments now. Make sure to use the links below.